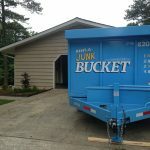 There is only one dumpster rental service that the businesses and people of East Cobb trust. What dumpster is that? The Junk Bucket Dumpster! 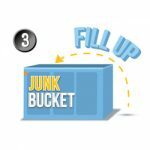 The Junk Bucket is the best way for all the DIYer’s out there to get rid of their junk, trash, debris and clutter from their homes or businesses. 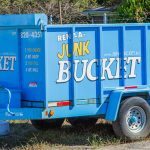 Renting and utilizing a Junk Bucket is extremely simple too. Just takes a few simple steps and you’ll be closer to having a junk-free, stress-free life! Now, like I said, renting and using a Junk Bucket is extremely simple. 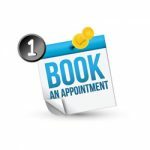 First you just pick up the phone and give us a holler at 770-369-0305 and let us know when you like a Junk Bucket dropped off, or even go through our website and Book Online. 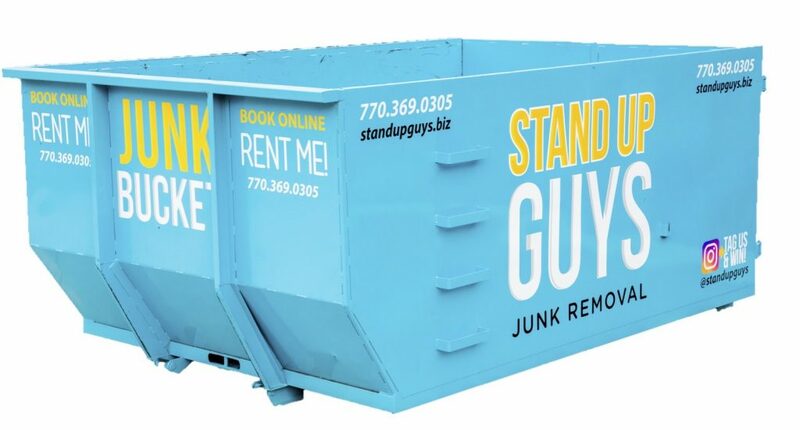 At the time that you requested, a Stand Up Guys Professionals will deliver a Junk Bucket to your home or business. He’ll put it anywhere you like. 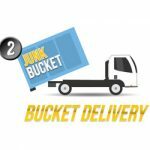 Junk Buckets are sleek in design so they can fit just about anywhere. Once the Junk Bucket Dumpster has been dropped, just fill it at your leisure. You can also fill it with whatever you like, from household junk to yard debris and everything in between. Once you have finished your de-cluttering and are ready to have the junk and Junk Bucket hauled away, just pick up the phone and let us know. 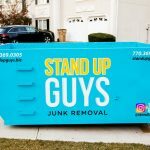 A Stand Up Guys Professional will be back out to simply pick up the Junk Bucket and haul it away, along with all your junk. Yes, it’s really that simple. 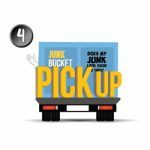 The Stand Up Guys deliver Junk Buckets all over Metro Atlanta, but our central location is right here in East Cobb. We service all of East Cobb and the rest of Marietta. From Pope High School to East Cobb Park and everywhere in between. You name it and we cover that part of East Cobb. The Stand Up Guys was founded in East Cobb back in 2008 and we’ve never forgot where we come from. East Cobb is still one of our favorite, if not flat out favorite, places to work. The people and businesses of East Cobb are next to none. No wonder so many people move to the area every year, and people rarely move out. East Cobb is just a great place to live and raise a family. It’s also a great place to rent a home dumpster!